Oxeye Games has released a Linux version of their real time strategy game Harvest: Massive Encounter. 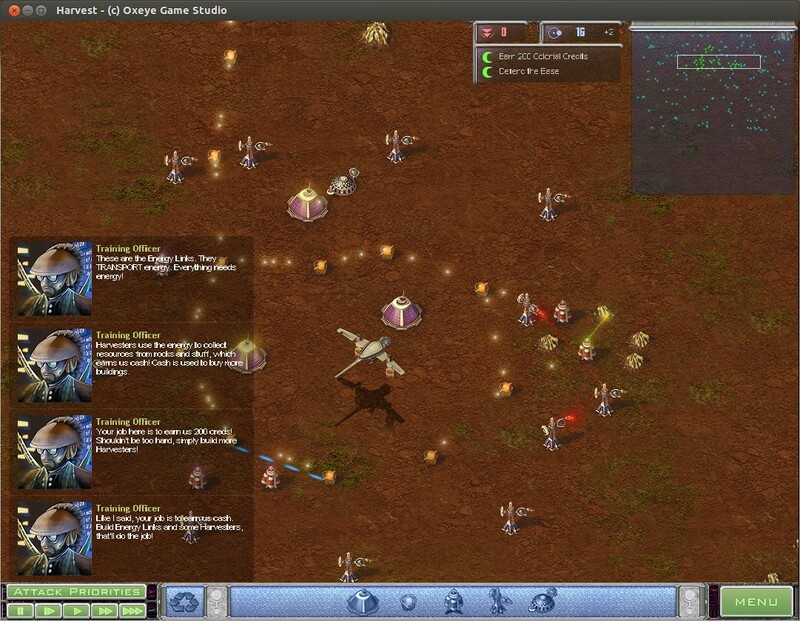 In this 2D fantasy game, you take on the role as the base commander of a space colony far, far away, and must use five building types in a creative way to efficiently expand and defend it. Build power plants, mineral harvesters and defense towers and make sure they have sufficient energy to fend off endless hordes of evil aliens. The game offers a vast array of possible strategies with these simple rules, and will compel you to try new and better base designs every time. 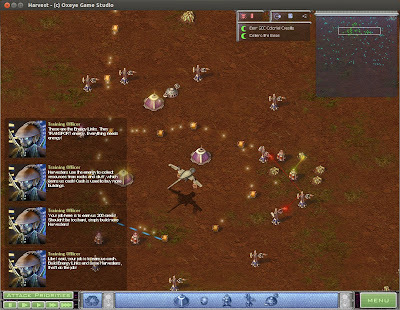 The game was released in 2008 for Windows and Mac but a Linux version has been made available for first time. Oxeye Studios are also developing another Linux game Cobalt with Mojang (Minecraft's creator). A Linux demo for the game can be downloaded from here. I had to install libluajit and libcg libraries to get the demo working. Full game can be purchased for $10 from here. You can get 50% discount by using code 'TOMMASO', valid until April 29th.